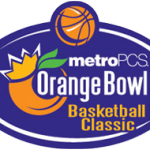 Adding to an already impressive out-of-conference schedule, Florida Gators basketball will be taking on the Kansas State Wildcats on Dec. 18 in the 2010 MetroPCS Orange Bowl Basketball Classic. The two-game tournament played annually just before the new year at the BankAtlantic Center in Sunrise, FL, usually features the Gators as the main attraction against an out-of-state opponent. Florida is 7-2 all-time in the Orange Bowl Basketball Classic, falling 56-53 to Richmond on Dec. 19, 2009 – their first loss in the event since 1997. The Gators took a short break from the tournament but began competing again in 2006, winning their first three games. 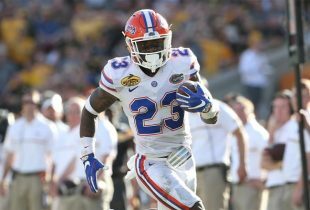 Other important out-of-conference contests already on the slate for Florida in 2010-11 are the first game of a home-and-home series with Ohio State (in Gainesville, FL), the second game of a home-and-home series with Xavier (on the road) and an early season road meeting with against Florida State in Tallahassee, FL. 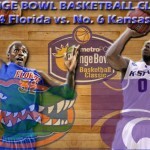 Previously, the Gators had scheduled somewhat easier opponents in the Orange Bowl Basketball Classic. Since returning to the tournament in 2006, Florida has faced Alabama-Birmingham, Temple, Winthrop and Richmond. Kansas State finished No. 7 in the final 2009-10 polls and ended the year with a 29-8 record. This will be the first meeting between the two universities on the court, though “the contract states that a return game between the schools will be played at a neutral site in the 2012-13 season,” according to KSU. Competing in the first game of the event are Miami and Central Florida, the latter of which is led by former Gators assistant coach Donnie Jones.